If you have a blog on your website, you enjoy writing articles or you have a company writing the blogs for you. Writers know how important fresh content is for your blog so choosing the right keywords in your blog will make a huge difference. Especially when you are an influencer with a large audience, your blog will have hundreds if not thousands of your followers reading the blog. How does SEO phrases in your blog attract attention and drive additional traffic. You can either hire an SEO expert or do it yourself. 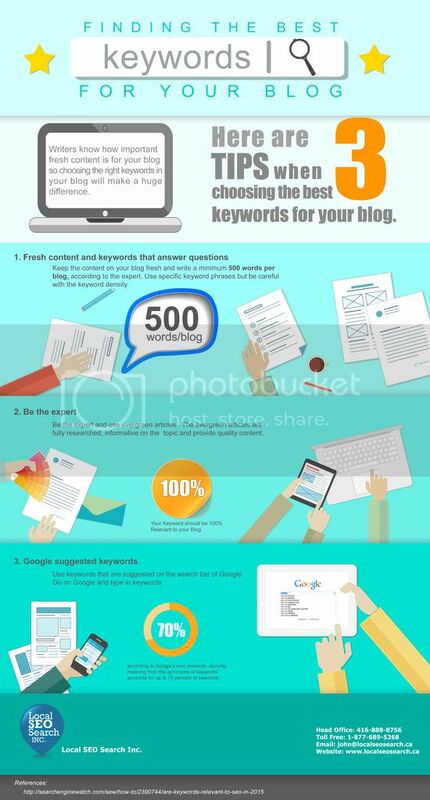 Here are 3 tips to follow when choosing the best keywords for your blog. Keep the content on your blog fresh and write a minimum 500 words per blog. The more you write the more engaged your followers will be. Use specific keyword phrases but be careful with the keyword density. For example, if your blog article is about baking brownies which keywords should you use for this blog? Remember, there are already thousands of blogs and websites that are talking about baking brownies and those websites are already ranking on search engines. How do you differentiate your blog and compete with them? Try using detailed keyword phrases like “how to bake the perfect brownie.” Write about topics that answer questions that will be searched on Google. Your blog will be targeting a specific audience fulfilling a specific need and the ones who are searching will be more qualified and the type of traffic you will be getting will be convertible traffic. Be the expert and use evergreen articles. The evergreen articles are fully researched, informative on the topic and provide quality content. Use keywords that stay relevant no matter how old the article was written. Your blog will still hold a lot of authority and will be searched and read for many years. Please avoid using titles that are year-specific, “2015’s best tasting brownie.” Come January 1, 2016, your article will no longer be relevant. Use keywords that are suggested on the search bar of Google. Go on Google and type in keywords (topics) related to your blog. As you type, “perfect brownie” Google will suggest phrases that are most popular and most relevant to that keyword as a drop down. These are the 3 basic tips in writing blogs that will provide a great user experience. Try not to put your keywords in every other sentence you write. Placement of the keywords is more important that the # of the times the keyword is mentioned in your blog. The three most strategic places to put your keyword phrase of your blog are: in the URL, the blog title and the headings. Remember not to over-stuff the blog article with keywords or else your blog will not flow well and not look natural. Write blog articles for your target audience and keep them interested. If a reader is looking for the best tasting brownie, he doesn’t just want to read about it. For sure, he also wants to know how to bake it. And of course, eat it! This will now equip you to writing keyword rich blogs that rank well on search engines!